Sergei Strokan: Well, let us talk politics. It is quite clear that Prime Minister Naoto Kan is acting now like a crisis manger. The man is under enormous pressure and just days before the quake, the Japanese government led by him was on the verge of collapse. This week the leading opposition force, the Liberal-Democratic Party, announced that due to the extraordinary situation in the country, it is going to drop its previous demand to dissolve the parliament and hold early elections. To me, this shows that the political elite is able to generate national consensus, putting aside narrow political interests. Mira Salganik: The personality of the leader constructed sort of a model. 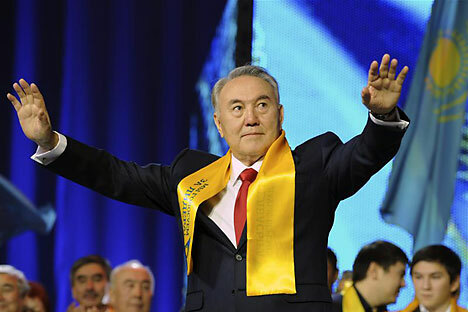 Nazarbayev’s success looks convincing. I spoke to several people who are Russians and who left Kazakhstan several years ago. They are not particular sorry, but if they were there now, they wouldn’t have moved. In the increasingly interdependent globalized world changes come faster than expected. But let us hear from our expert. Now we are joined byVadim Kozyulin, a research fellow with the Moscow-based PIR Center.